The Number 1 Cricket App for the ICC World Twenty20, India 2016. The official ICC app gives you full tournament coverage including warm-ups, videos, photos, breaking news, match highlights, statistics, and much more. 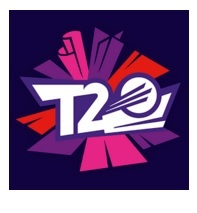 Well, the T20 World Cup 2016 App is available now for android and this is one of the most up-to-date apps about cricket one could ever find. The app offers all the information about the teams that will be participating in the tournament and their squads as well. Click on below download button and enjoy ICC world T20 in your Android Devices.